If you're expecting a baby boy this year, consider these 18 baby names that reflect the joy of the outdoors. Are you expecting a baby boy in the future? Maybe you're doing everything you can persuade your spouse to consider some baby names that are hunting or fishing-related. 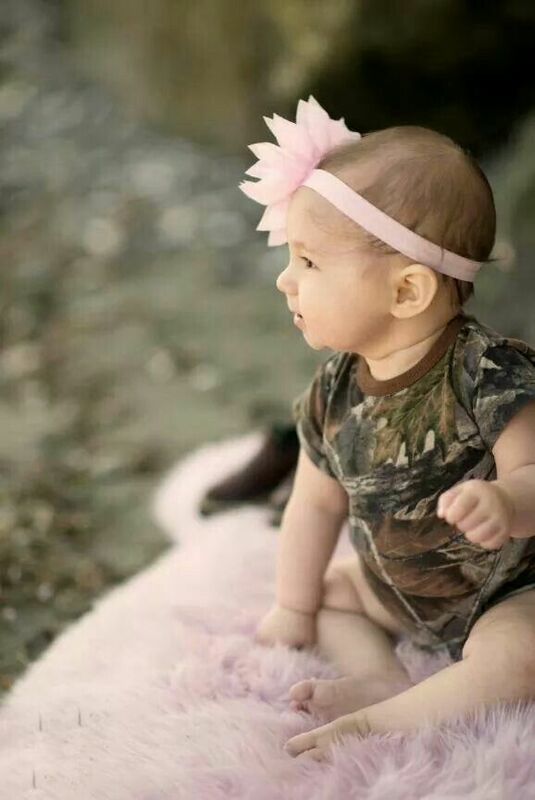 Regardless of your situation, here are the best baby names for your future little outdoorsman. He will be cute, cuddly and rugged all at the same time. Many of these may need no explanation; however, some may need some investigating to get to the full meaning. Okay, so this one is plain and simple, but it's still a cute name for your little peanut. Mariner is a Celtic baby name meaning "lives by the sea." Two words put together to make one unique name for your bundle of joy. Not only is this just a name of one of the largest firearm manufacturers, but it's quite the common first name for many boys born in the '90's. "Hey Scout!" Not to be confused with Scott. Although I could see this being more of a nickname than a baby name. Either way, given this name, he's bound to be on a journey full of adventure. Has anyone ever seen the "3 Ninja's" move series growing up? No? Well, one of the little ninjas was Colt and although you may not be having a ninja baby, if you are a cowboy or into horses or want to relate it to the revolver, this is a name for you new son. The Latin meaning of 'Miles' is soldier. A soldier can be more than one who heads off to war, but someone who conquers challenges. Soldiers in our military are what allow us to hunt and fish and live with freedom so never to take away from the respect of our men and women who serve, many times hunters are soldiers. Those who head out into the woods with a pack and a weapon, fighting the altitude, weather and terrain to hunt and harvest an animal of a lifetime too is much like a soldier, and Miles, well, Miles is a soldier. Pronounced, spelled and sounding just like the archery arrow manufacturer, because that's where we got it from. This name is very unique and in some countries is a unisex name, for both girls and boys. There's more to it than a fancy pair of sunglasses, as it's true meaning is "A Field of Oak Trees". Earth, nature and the outdoors, just where most fishermen and hunters like to spend their time. There are those who think immediately of the Tanner Family from Full House and if you weren't, I may have just ruined it for you. If you're still interested, when someone in taxidermy prepares an animal hide, they "tan" the hide. You little boy may just grow up to be the next best taxidermist with a very ironic first name for the job. According to the Name Meaning Website, Dallas means "Wise, Meadow Stance." I first thought of the name when my younger sister told me she was moving to Houston and instead of saying, "Congratulations! Good luck!" I said, "Awesome, make some friends who have hunting property!" Then I soon began searching the internet at places to hunt in Texas and many times found myself looking at flights into Dallas, TX. I'm not sure why my mind thinks in this way, but regardless, if you name your newborn Dallas and he grows to have hunting property, don't forget me and be sure to remember where the name idea came from! I like the double "r" here more than one, but however you spell it, let's keep it related to the outdoors and not Forrest Gump! Your little one may not be a runner, but surely will love the outdoors if given the opportunity to. We understand the name "Double Barrel" or "Over-Under" wouldn't suffice, and plus, Gauge just sounds like a really cool name. 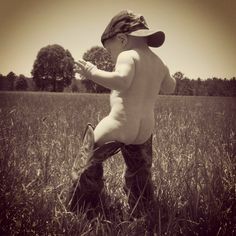 If you relate it to your shotgun or name your future son, Gauge is unique and a great name for the future outdoorsman. He may end up being more into firearms or fishing, but either way, Archer will be an outdoorsman and he will look good in that cute little camo onesie you got him for his ride home from the hospital. If you're listening to the radio, you may be thinking of the hip-hop artist Drake, but I can assure you we're relating this to the male duck, which happens to be the same name of your new little duckling. Just because the term "String" and "Limb" didn't work when we were naming parts of a compound bow. Cam. It's got a nice ring to it. So he may not grow up to own a pro shop and cut arrows, but he can always stand proud with the name Fletcher. Steer him into the right path, or flight, when the stork drops off your newborn. This baby name has been popular this part year, signifying strength and bravery. Hunters and fisherman both go that extra mile for their adrenaline rush and harvest as they make their way against mother nature. They, like their parents, are strong minded and goal oriented and Wyatt, will be no different. It's not doubt if you are having a new baby, you have spent some time on the internet or in baby name books looking for that perfect match. If you're a couple who loves the outdoors or individually trying to convince your spouse to keep the name related to hunting or fishing, these are just a few to get you started. It may not be as easy as naming a puppy or kitten, but it will be as special if not more special. Did you find one you like? Do you know someone who could use this list? Or is your very own name on this list? Be sure to comment and let us know if you have any more to add to the list as well.